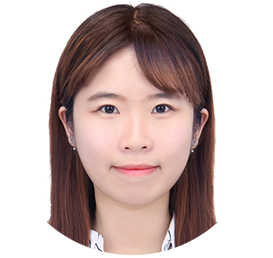 Jiseon Lee (Lee) is currently undertaking an undergraduate degree programme at Gwangju Institute of Science and Technology (GIST), South Korea and is majoring in Earth Sciences and Environmental Engineering. She also studied Gravity-Driven Membrane (GDM) for developing countries at GIST Water Quality and Treatment Laboratory. Her interest in appropriate technologies for developing countries and their water issues, as well as water policy issues, inspired her to apply for UNU-INWEH’s ELE Programme. Lee joins UNU-INWEH as an ELE scholar for 6 months and will be working under the supervision of Dr Duminda Perera and Dr Nidhi Nagabhatla. She will be focusing on water-related disaster impacts on health. She will also be contributing to the GCRF GlobalSeaweedSTAR project and the Water-Migration focused initiative in the Congo region.